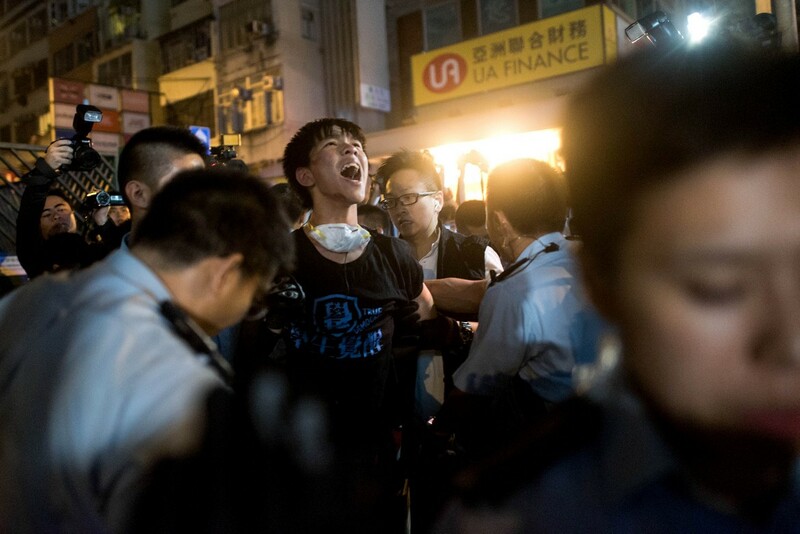 BEIJING - China's president on Friday heaped praise on Hong Kong's embattled leader Leung Chun-ying as they met in Beijing, commending him for maintaining "stability" in 2014, a year marked by massive pro-democracy protests. 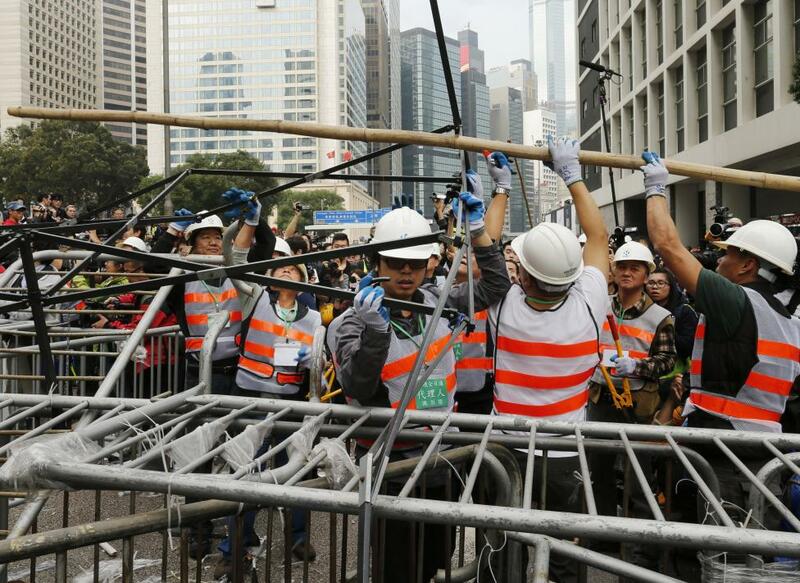 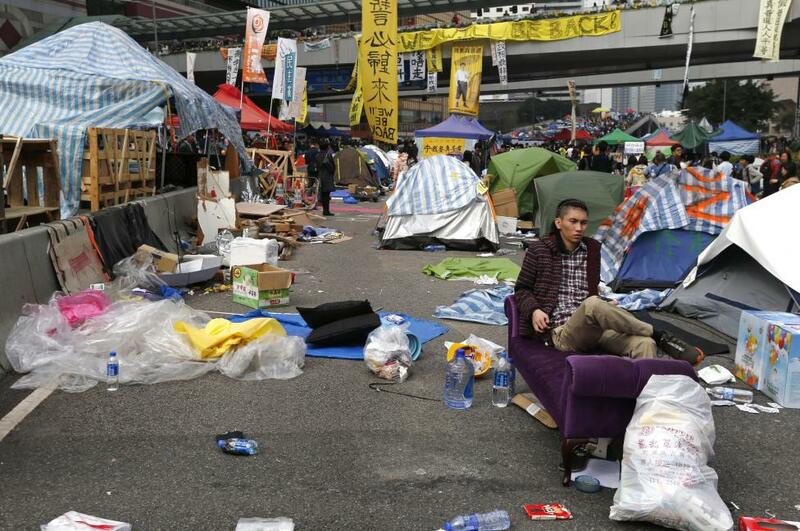 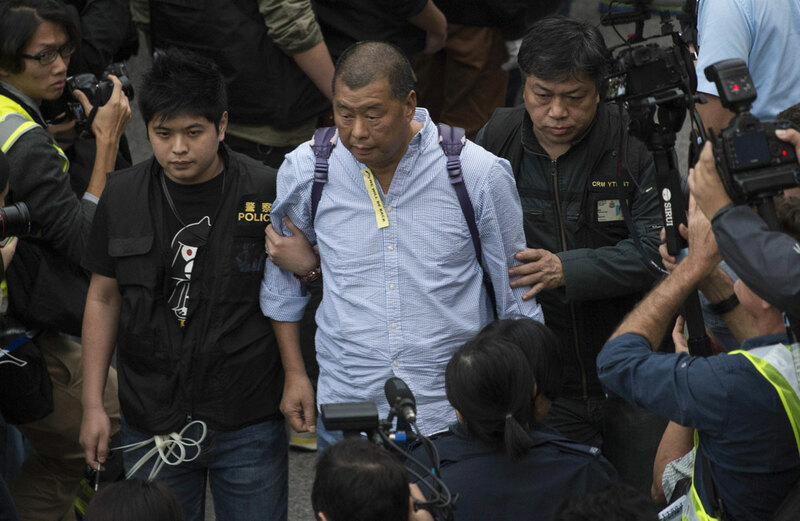 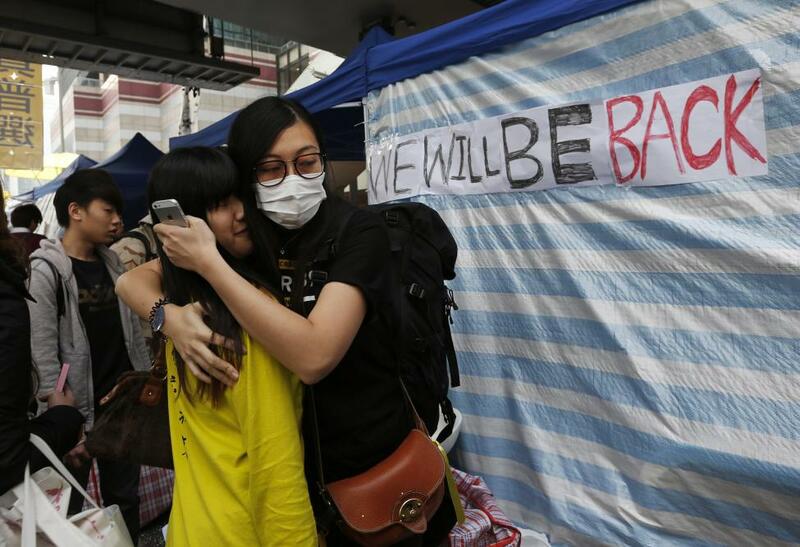 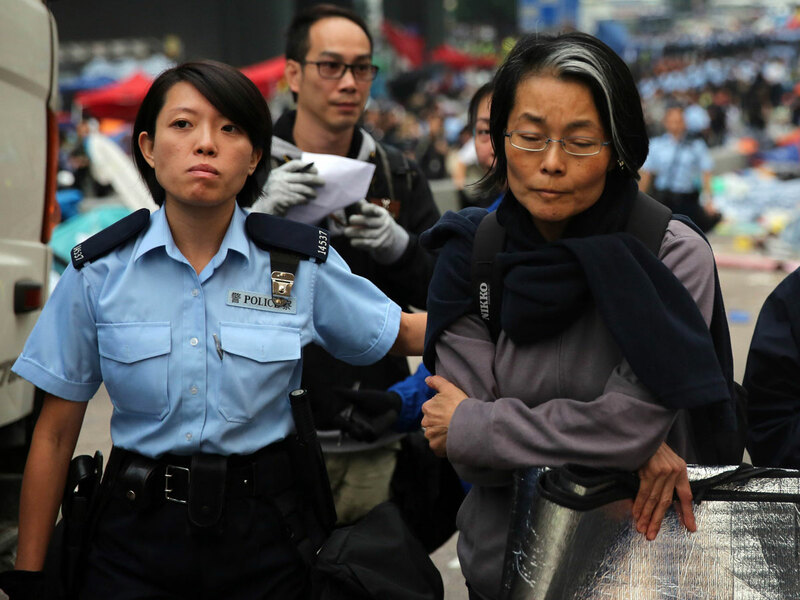 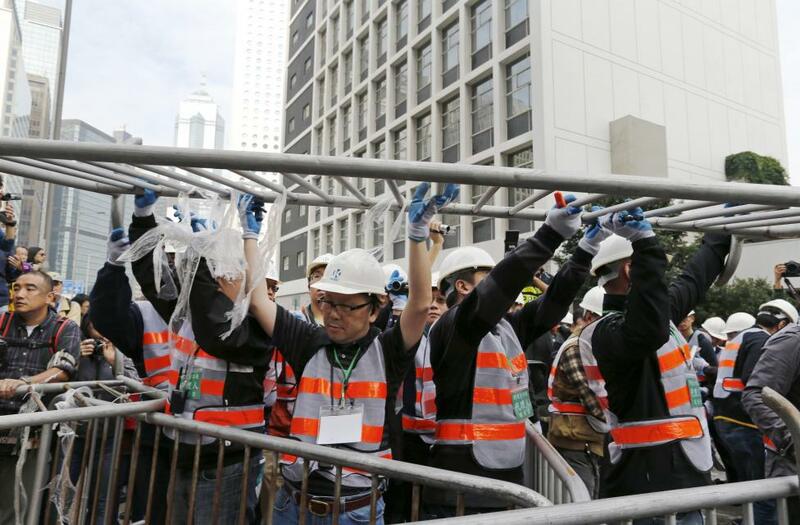 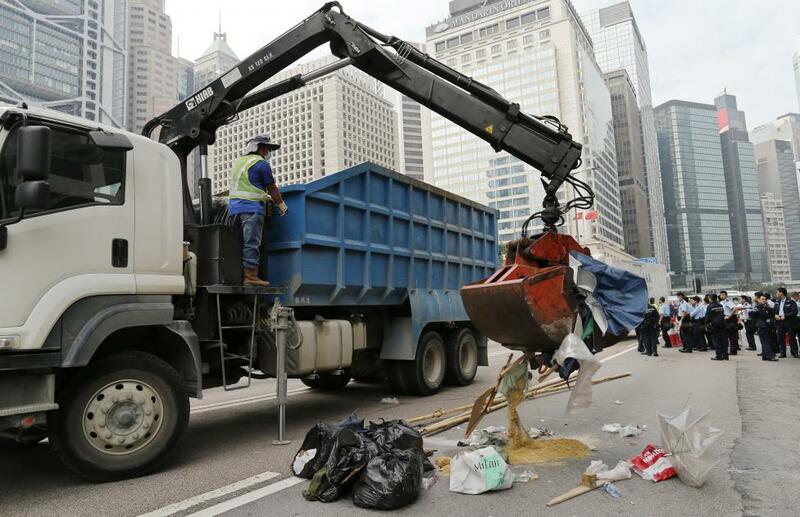 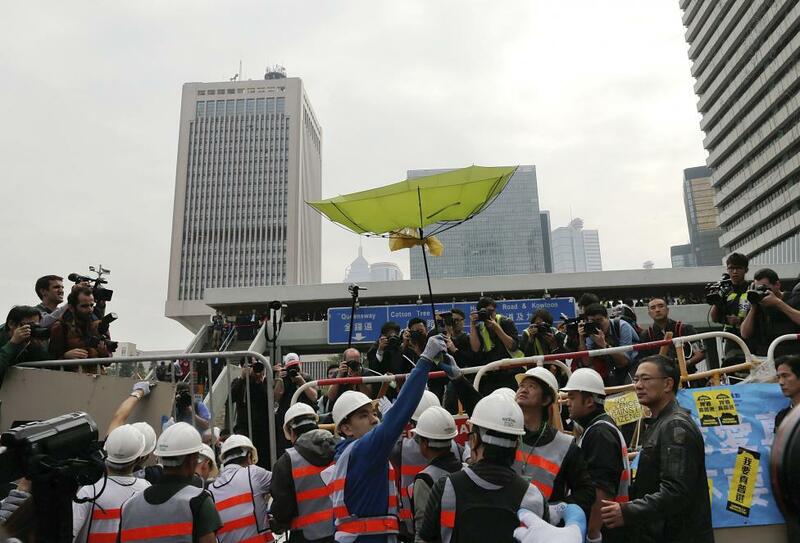 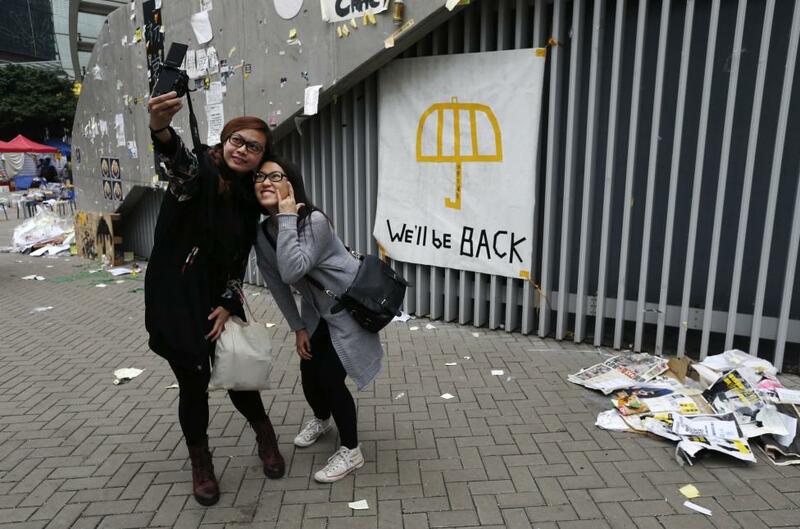 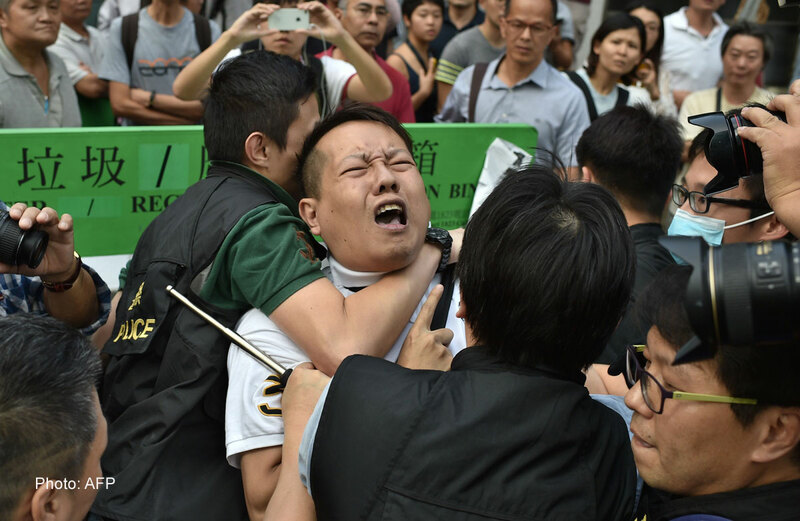 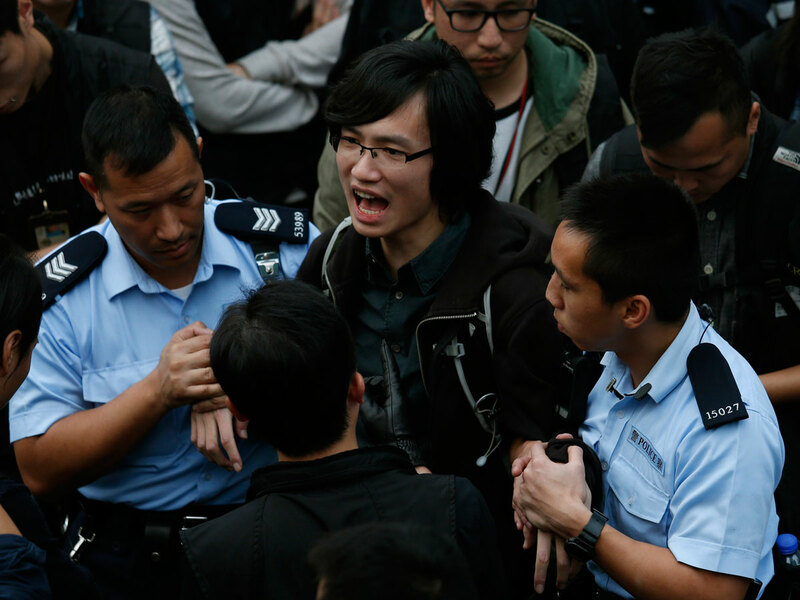 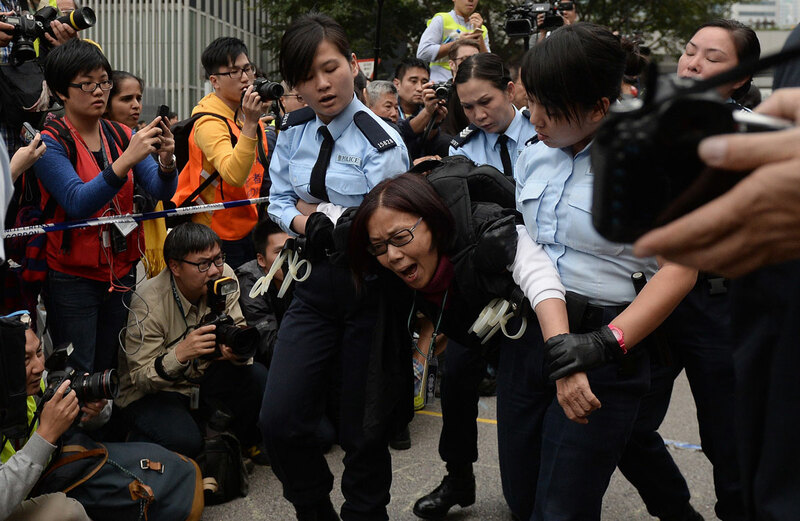 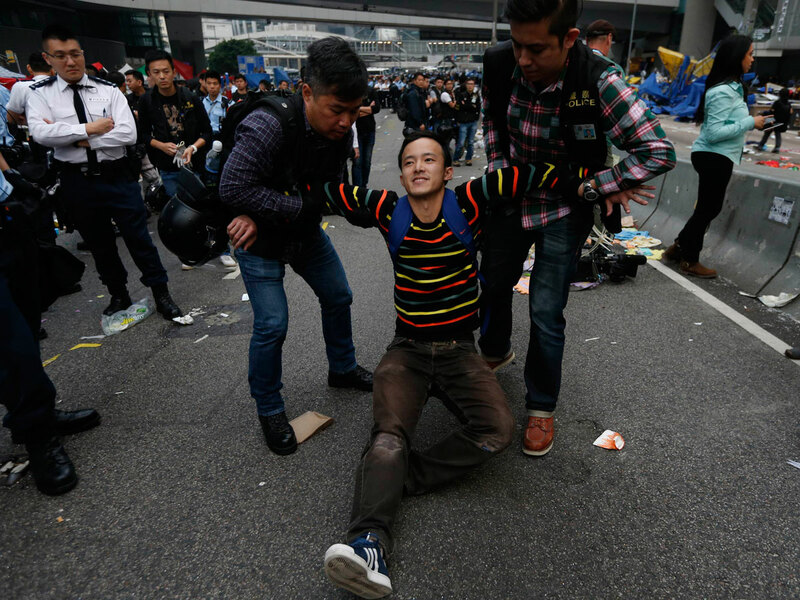 Beijing refused to give concessions to demonstrators who held rallies in Hong Kong for more than two months demanding free leadership elections for the semi-autonomous city, and police cleared the last of their sprawling protest camps on December 15. 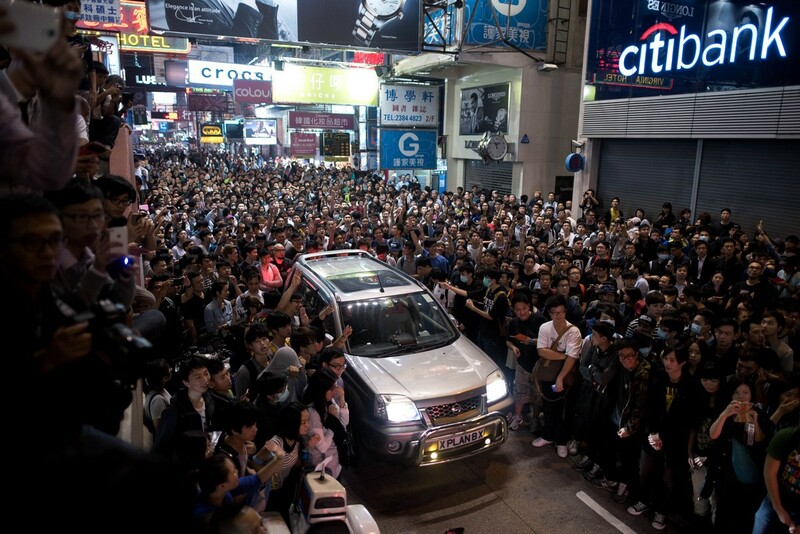 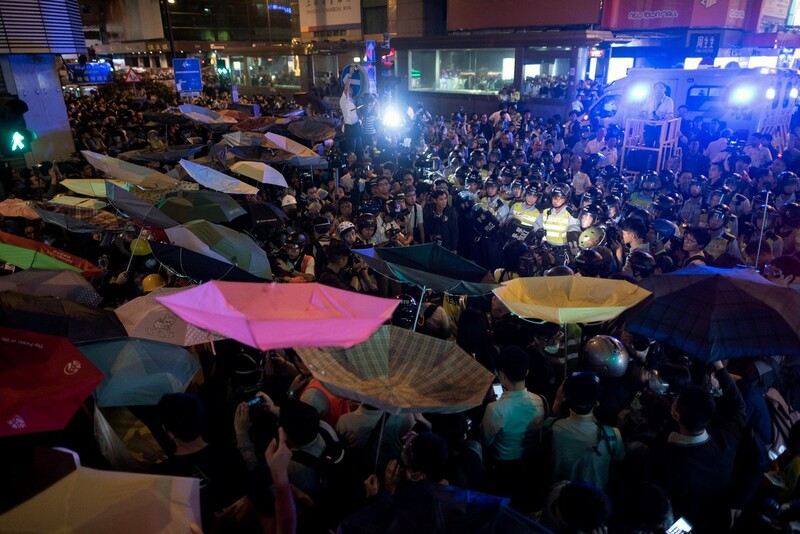 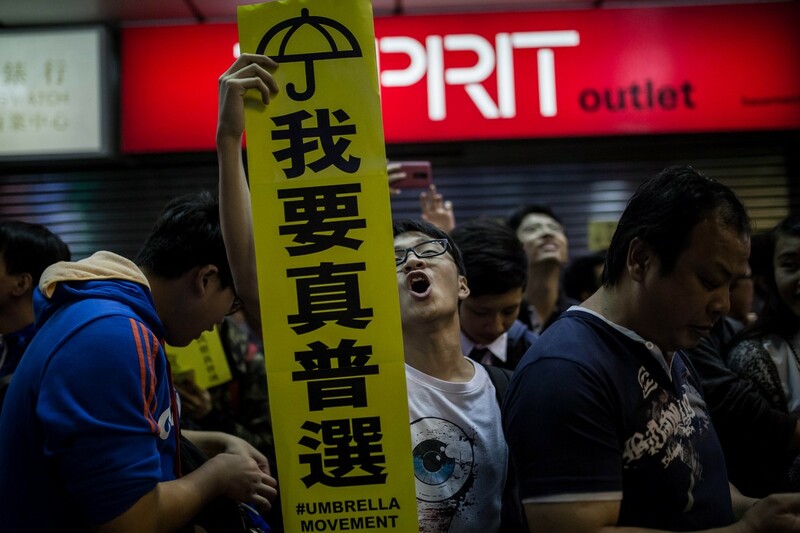 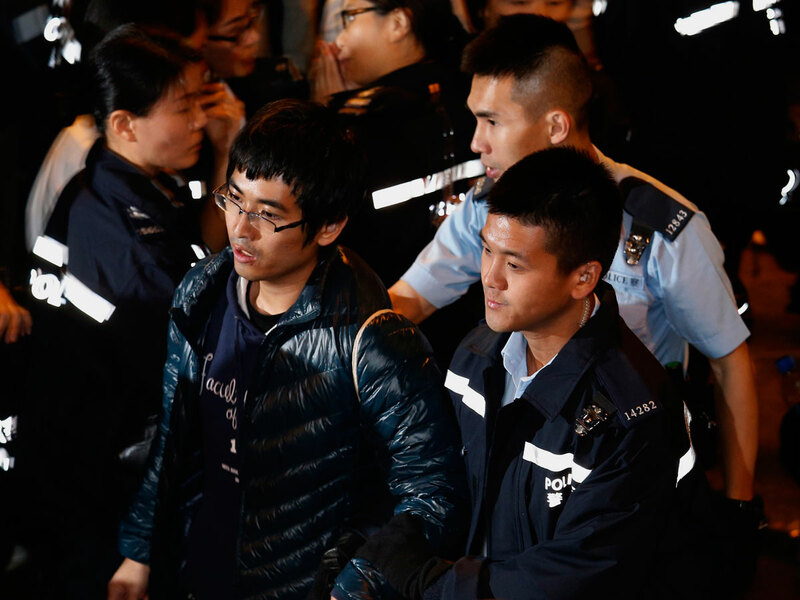 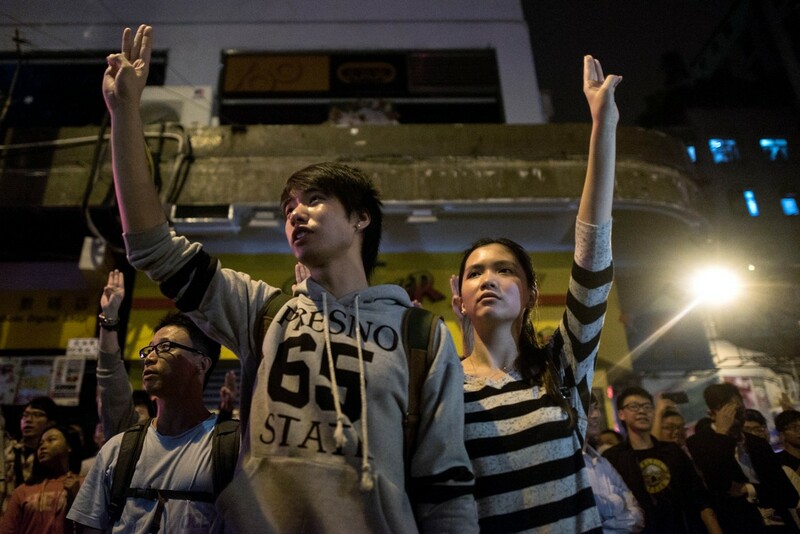 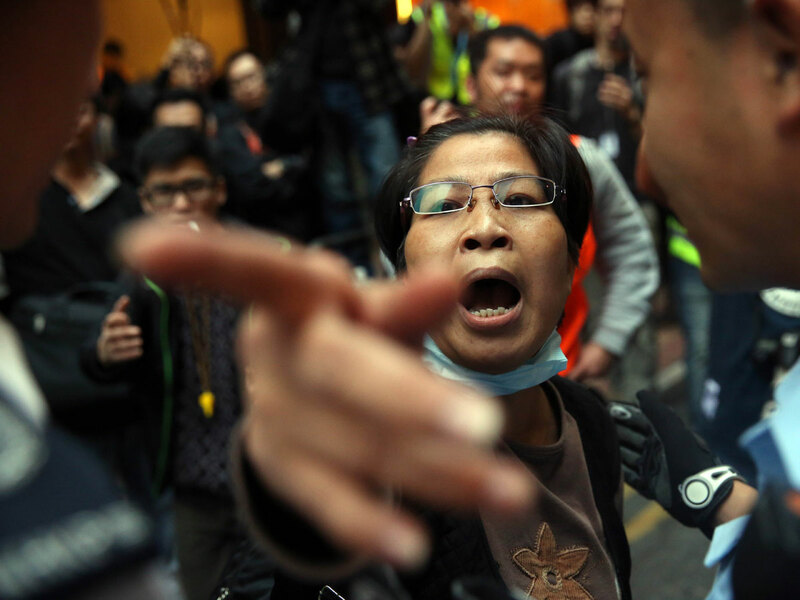 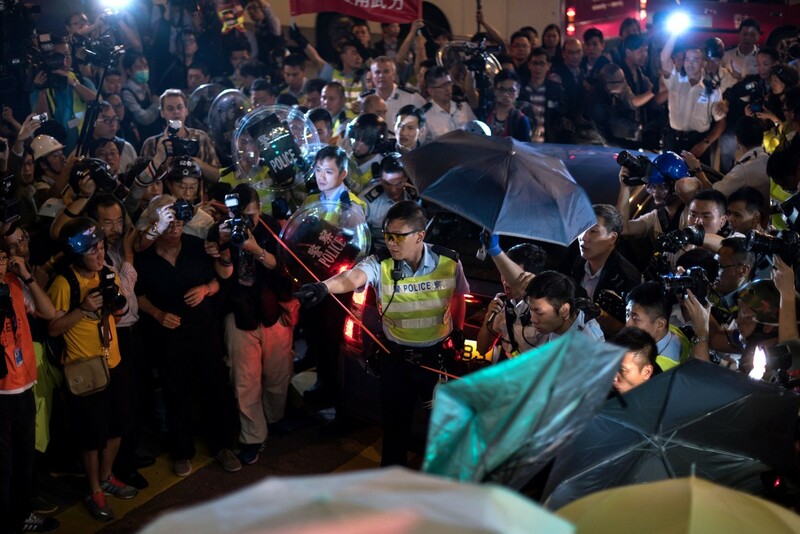 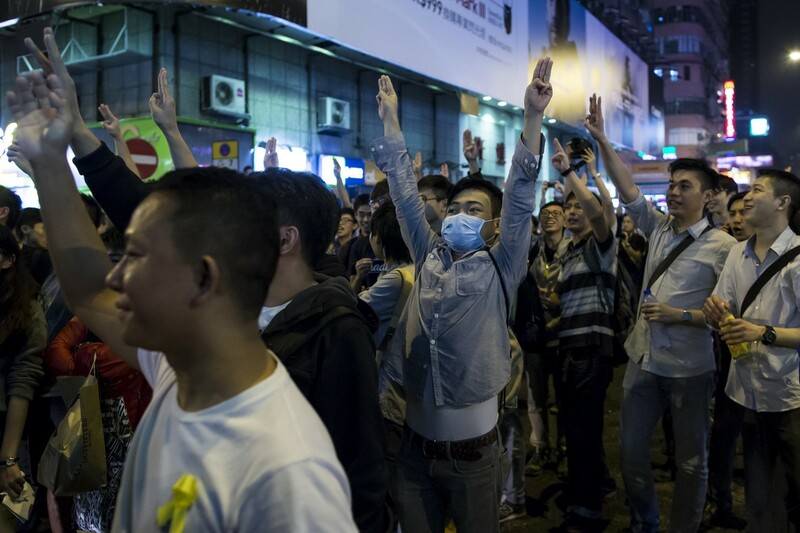 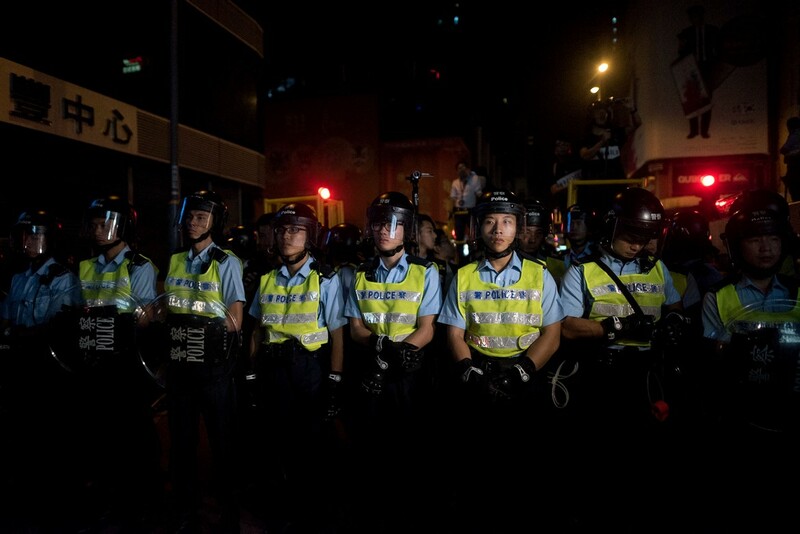 Protesters have nonetheless continued to hold nightly gatherings on the streets, with police clashing with angry crowds on Friday for a second night running. 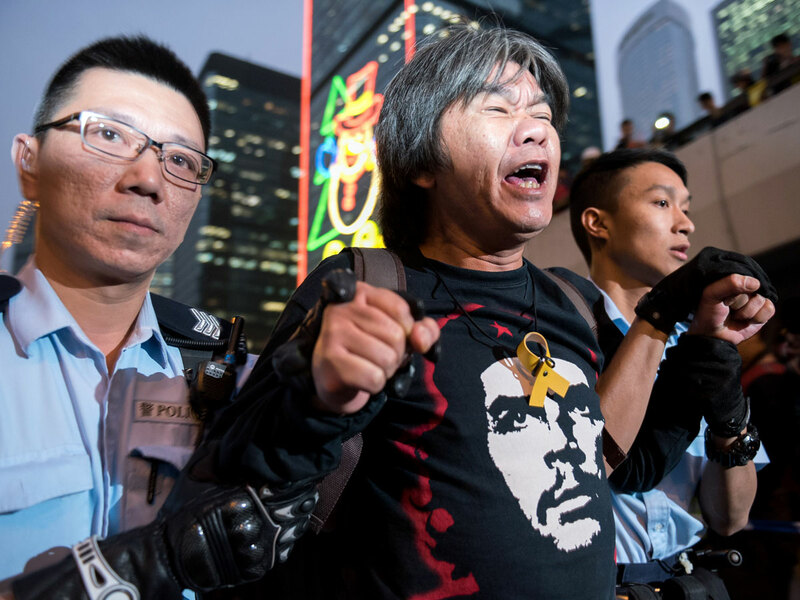 "In the past few months, Hong Kong has faced unprecedented challenges and difficulties... on the issues of rule of law, social order and security," Leung told President Xi Jinping, while thanking China's leaders for backing him. 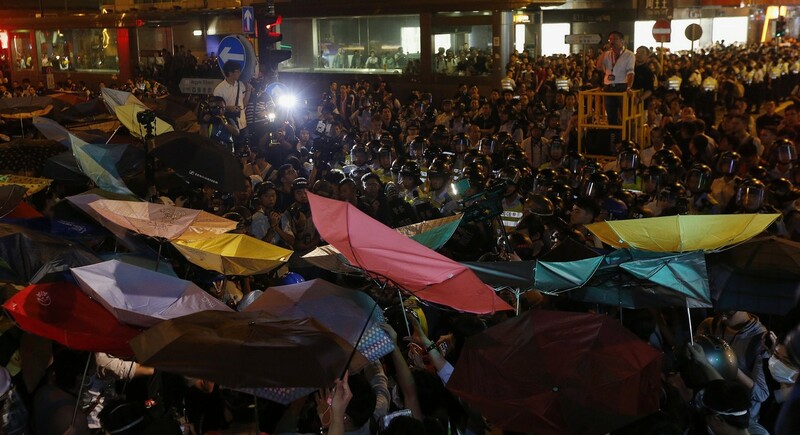 Xi offered praise in return, saying Beijing holds the work of his government in "high regard". 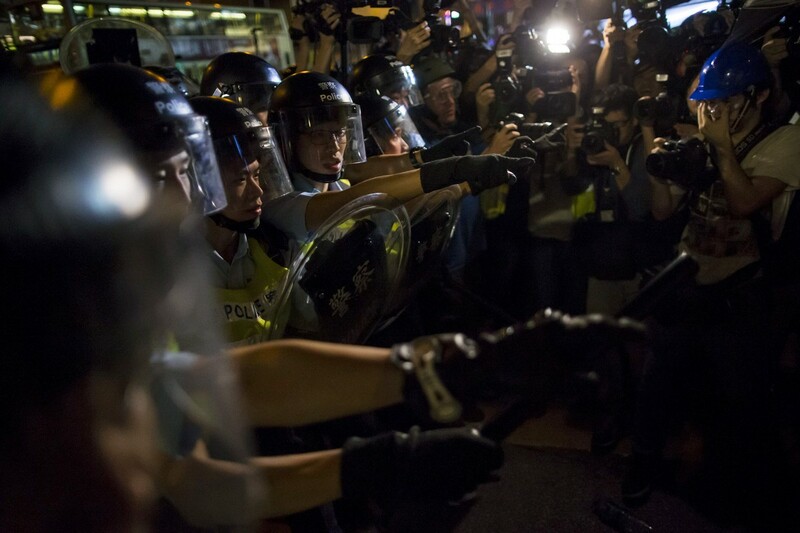 "This year, under your leadership... the overall stability (of Hong Kong) was preserved," Xi told Leung at the exclusive Zhongnanhai leadership compound near the Forbidden City. 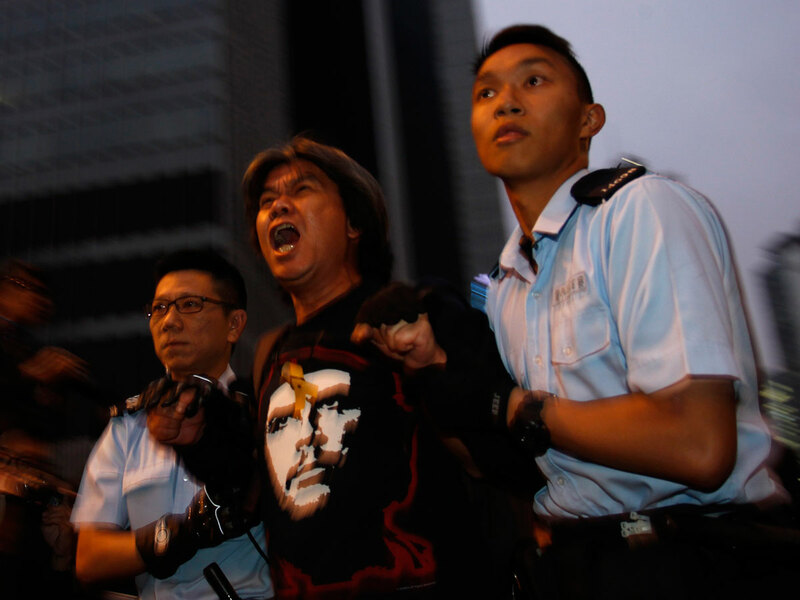 "Pushing forward political reform... needs to be to the benefit of safeguarding the country's sovereignty and development," Xi added. 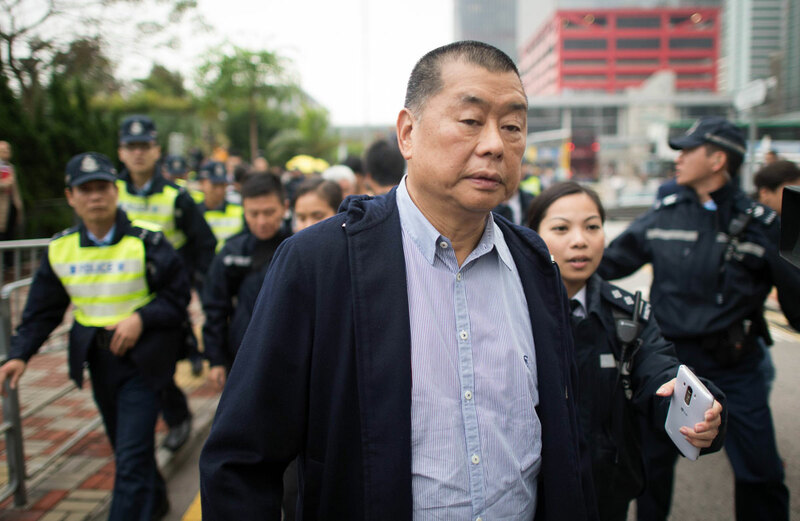 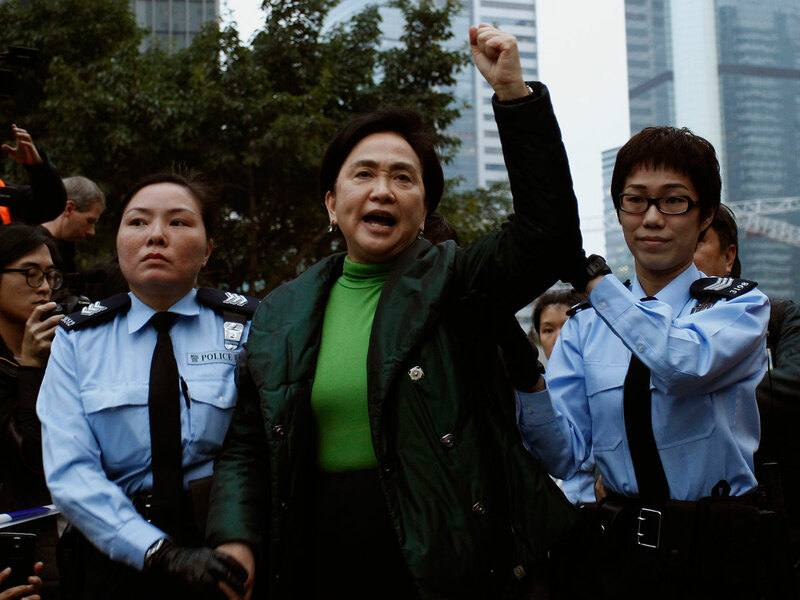 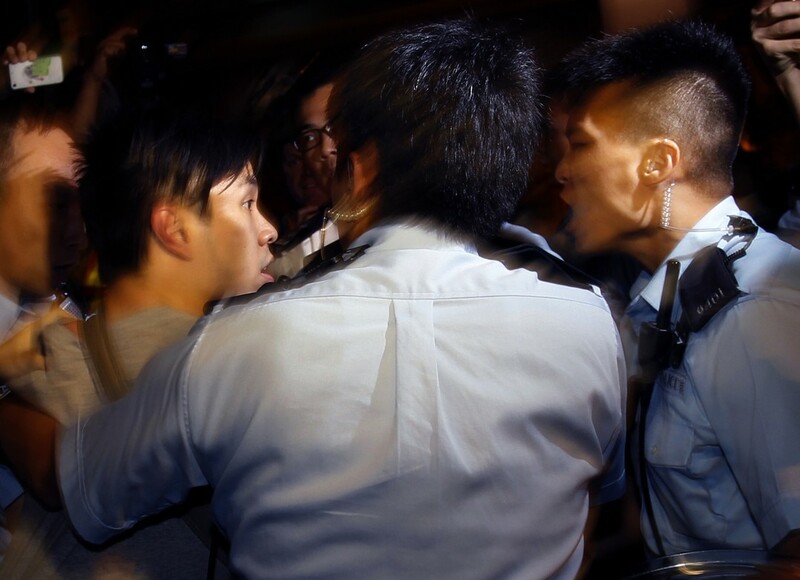 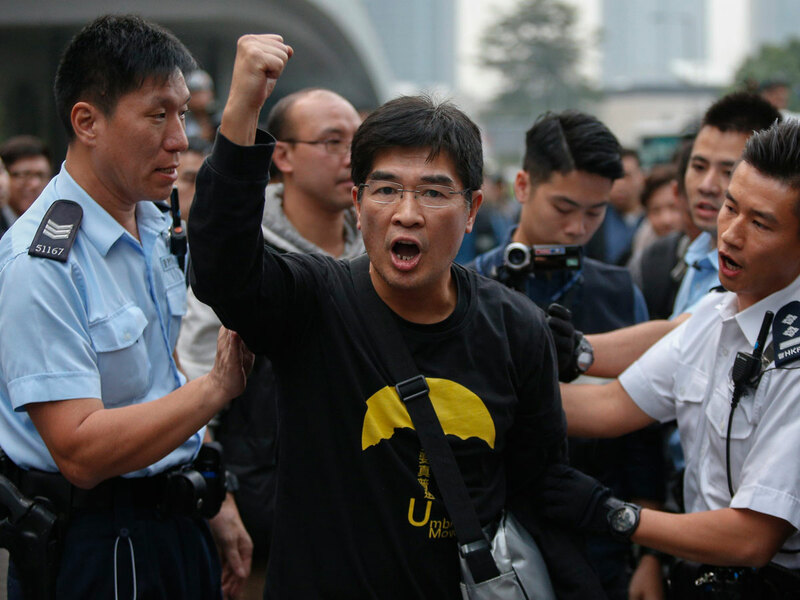 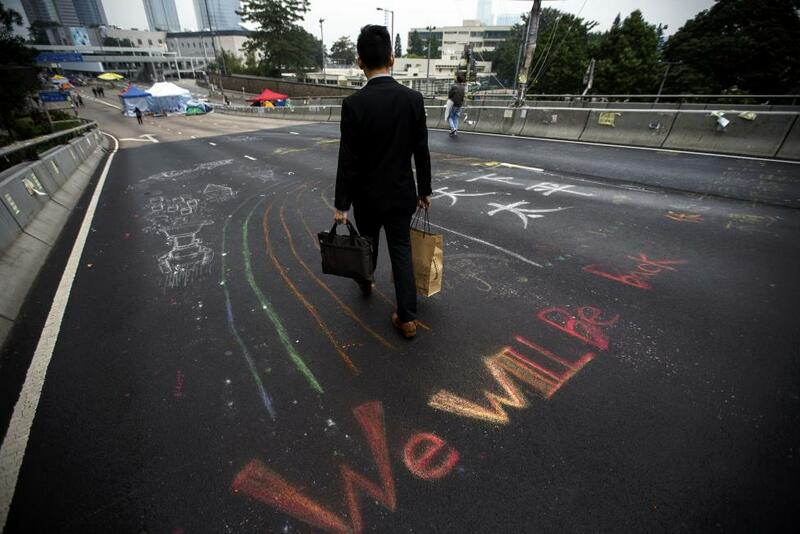 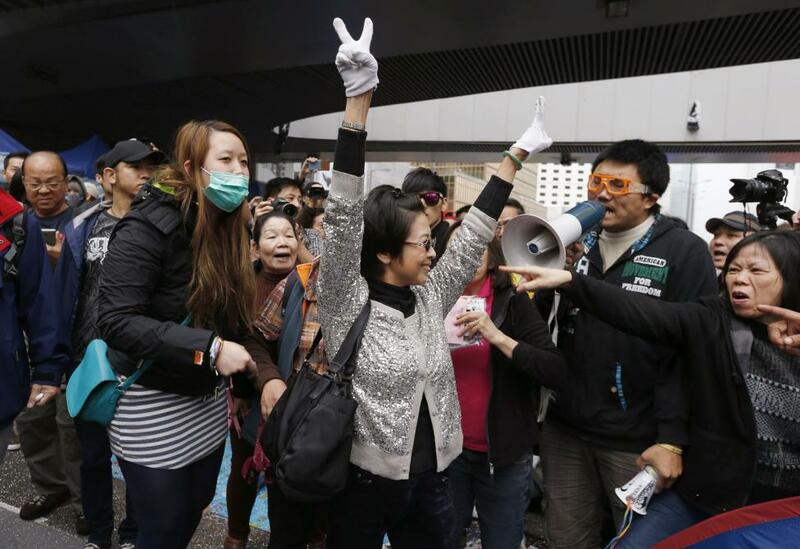 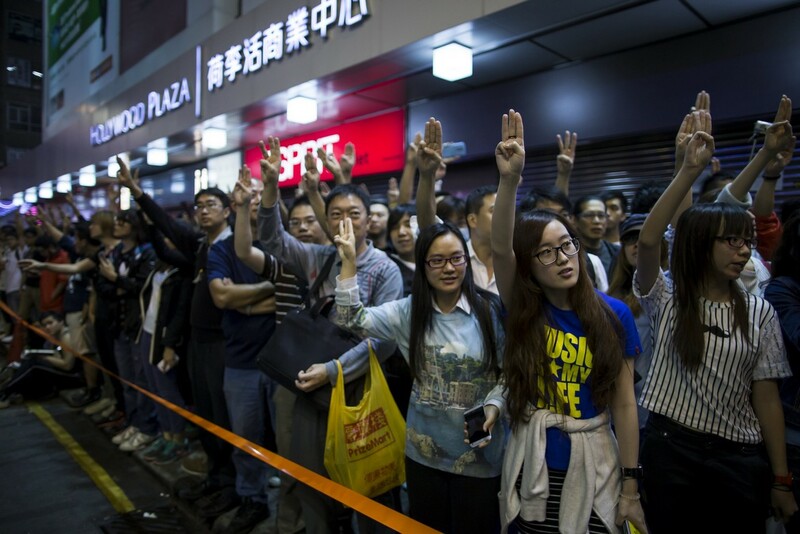 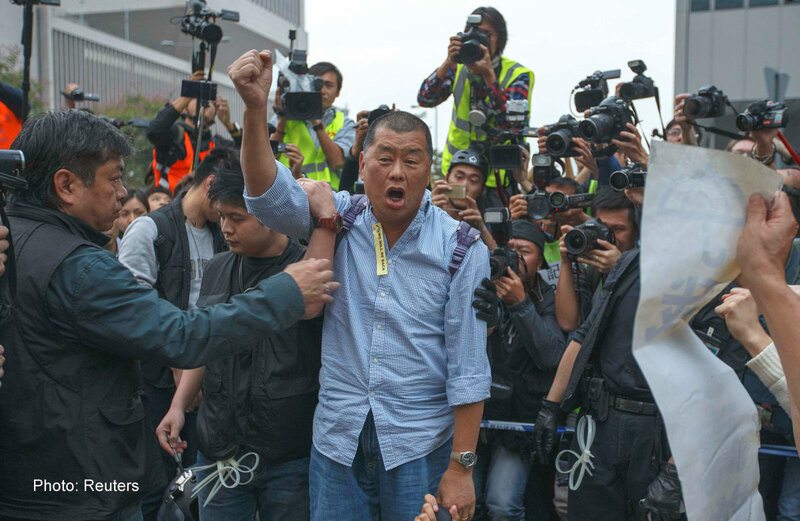 Leung arrived in the Chinese capital on Thursday for his first visit since the sit-ins were cleared. 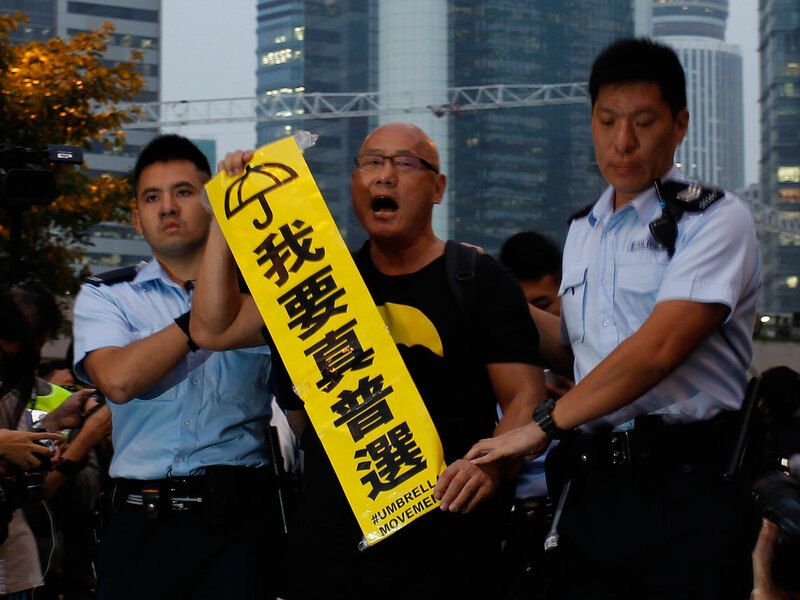 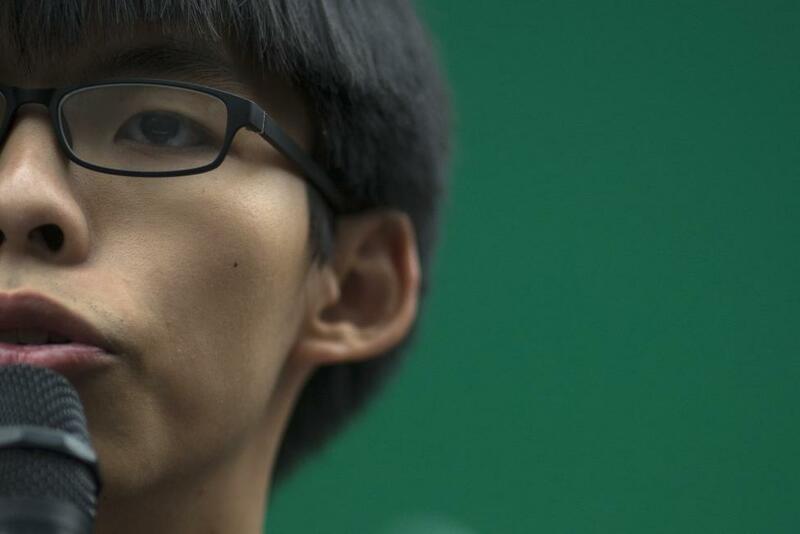 Beijing has refused to back down on its insistence that candidates for Hong Kong's next leadership election in 2017 must be vetted by a loyalist committee. 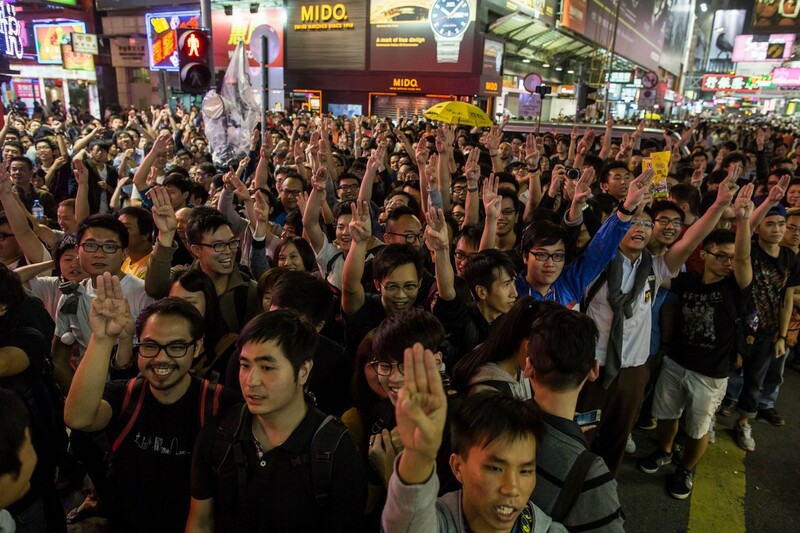 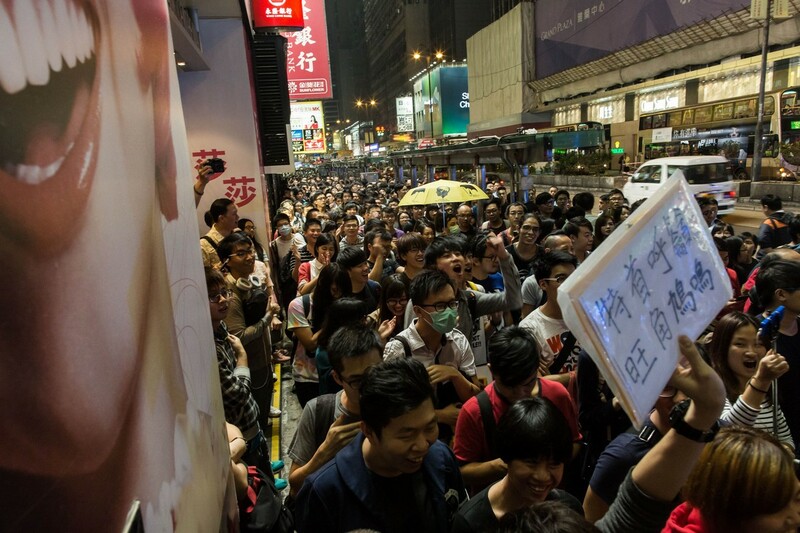 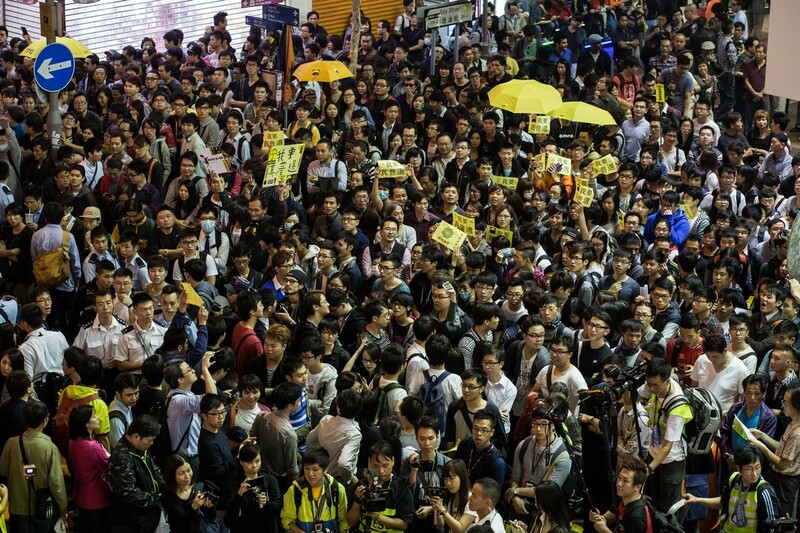 Democracy campaigners say this will result in the election of a pro-Beijing stooge. 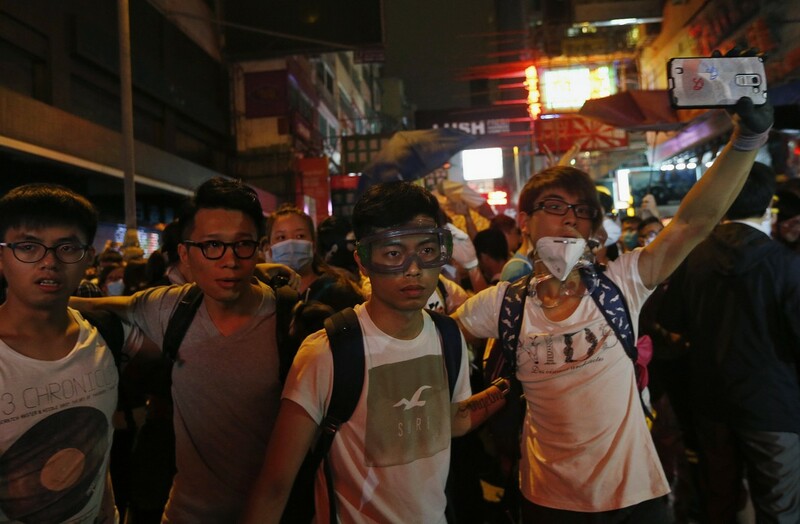 "The central government's basic policy for Hong Kong has not and will not change," Chinese Premier Li Keqiang said as he met with Leung. 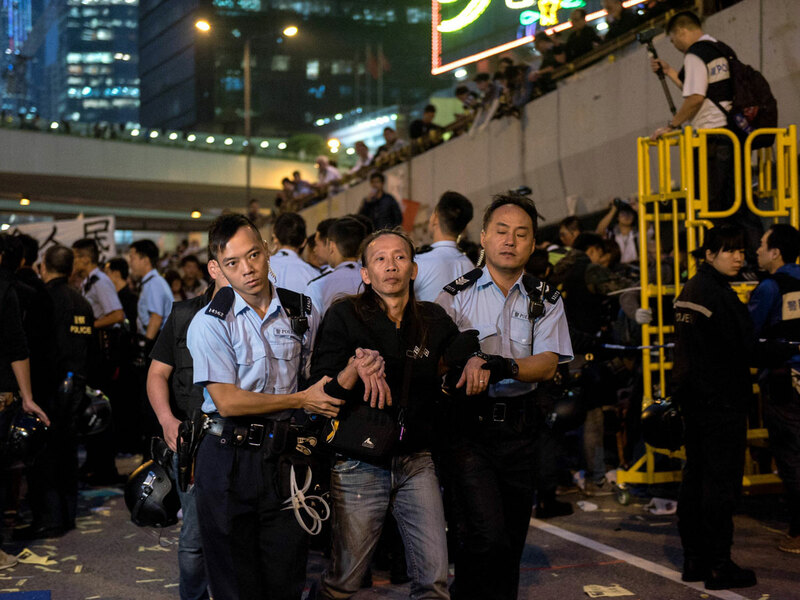 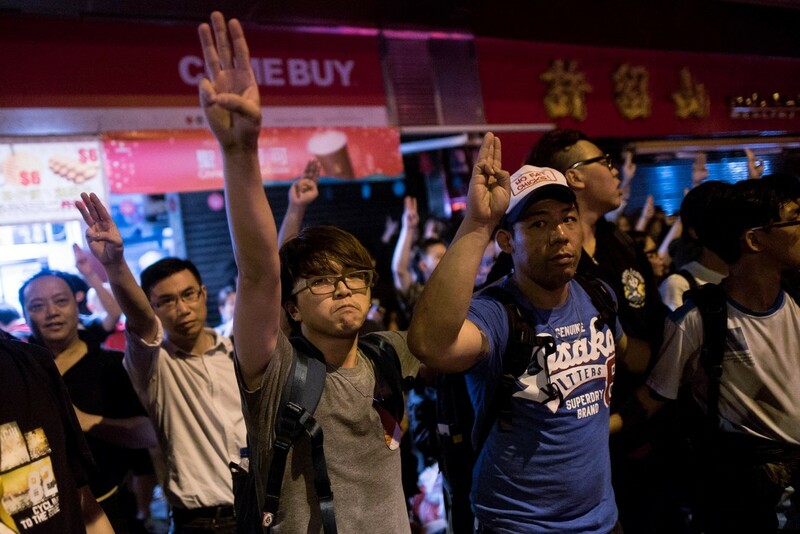 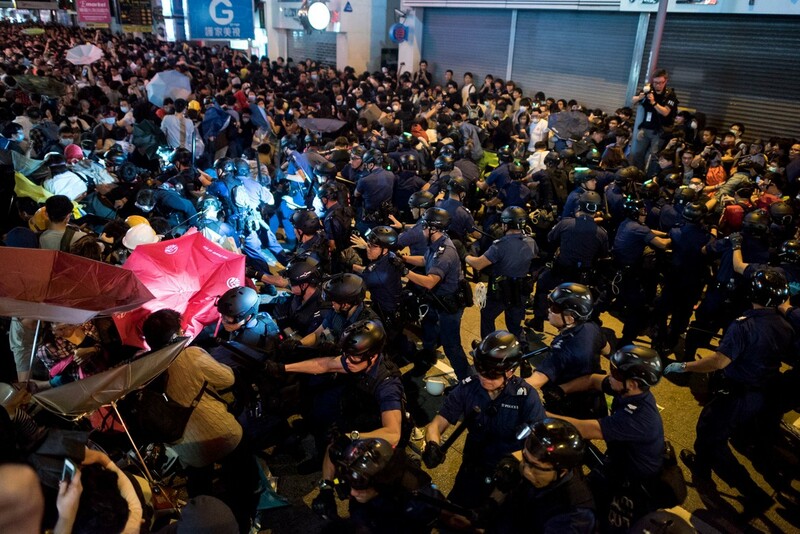 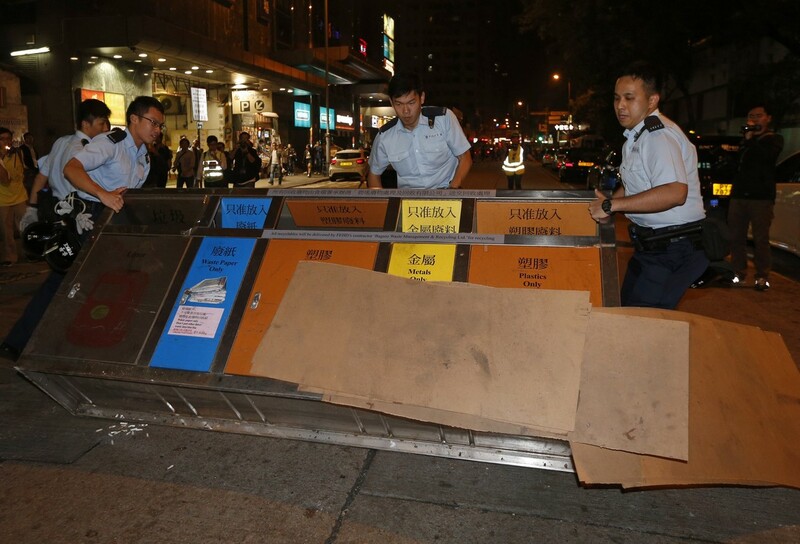 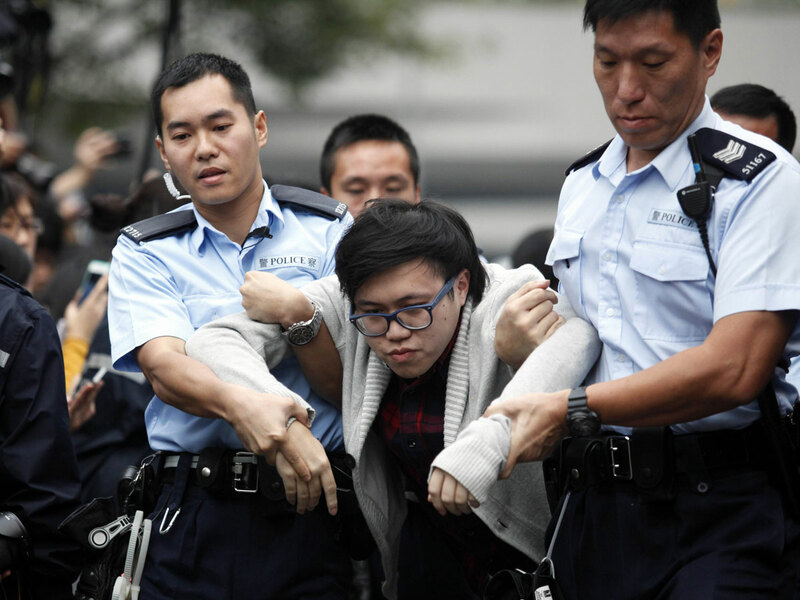 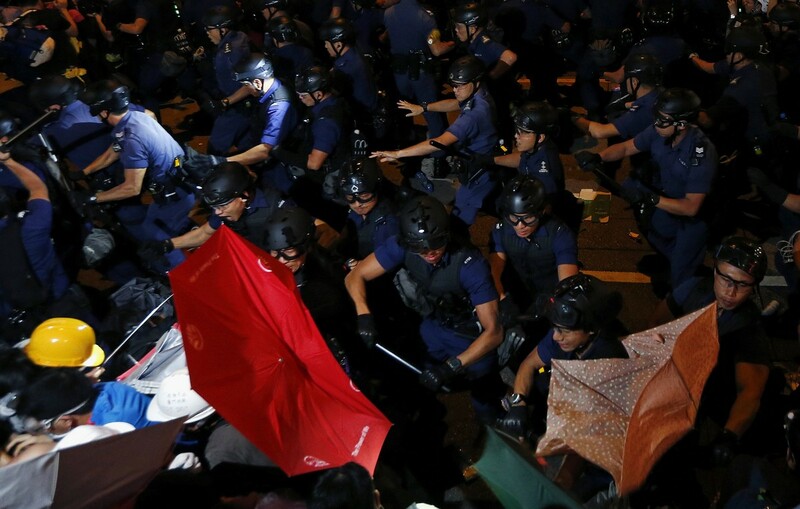 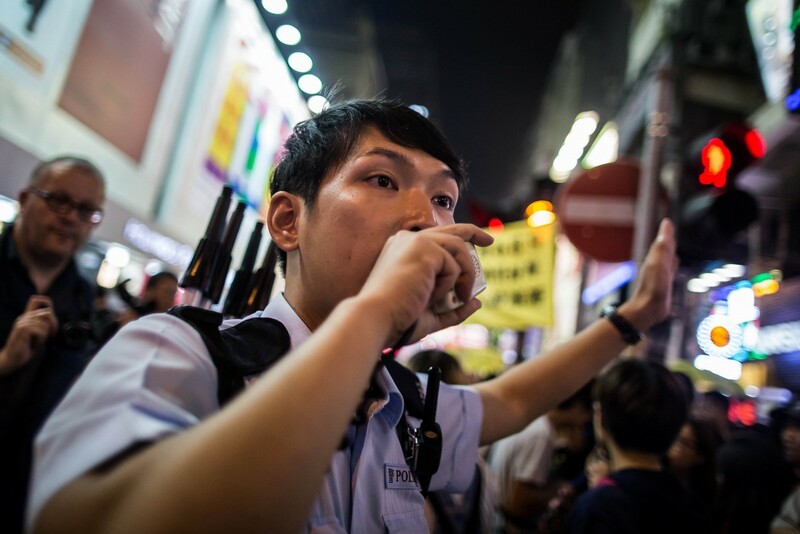 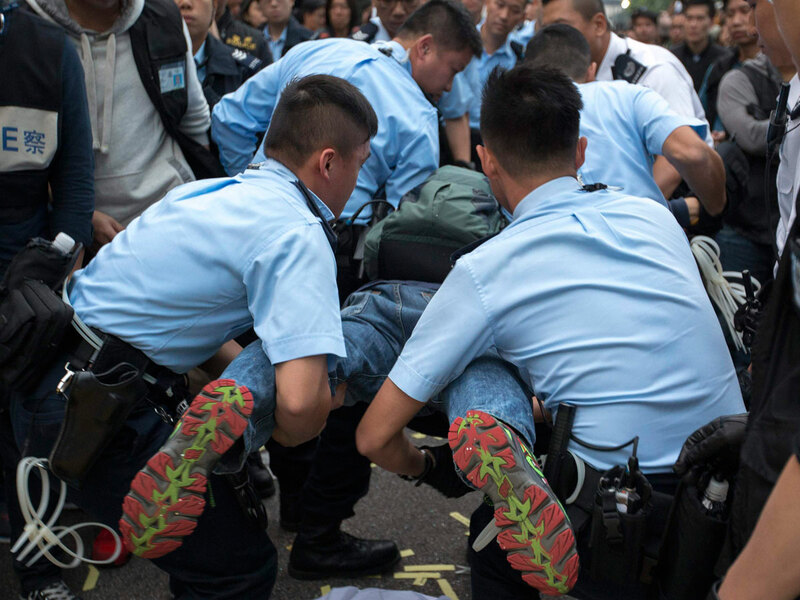 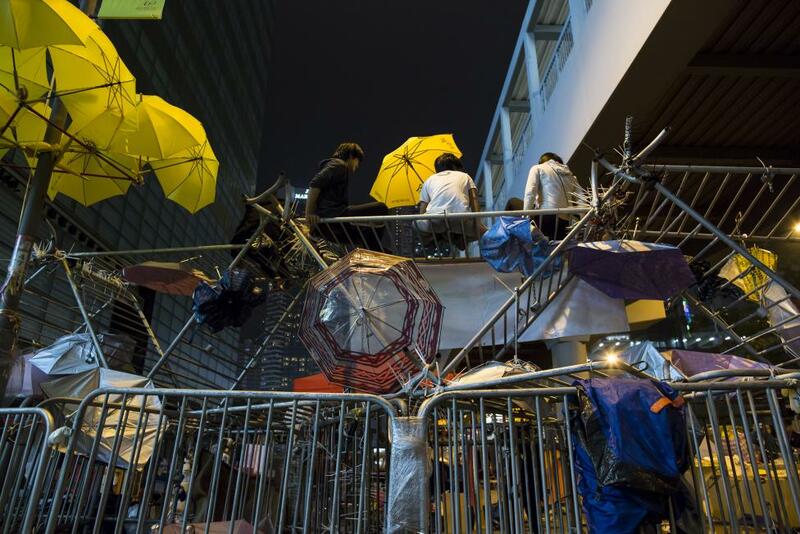 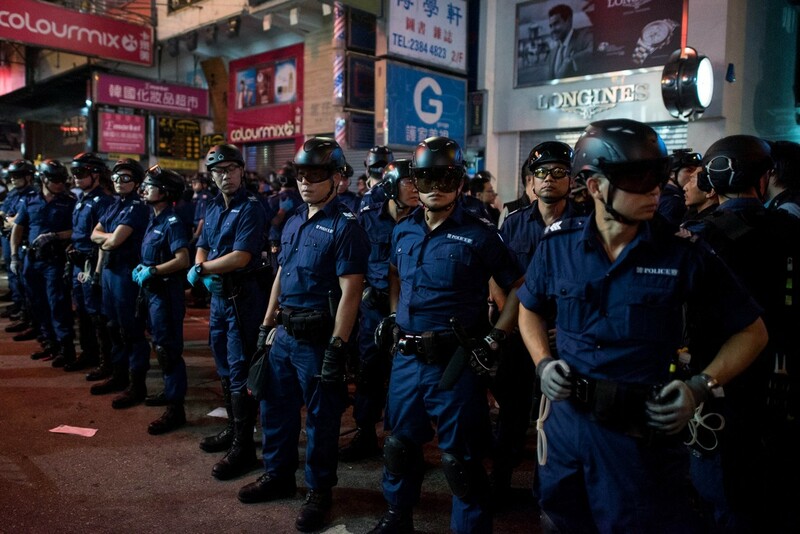 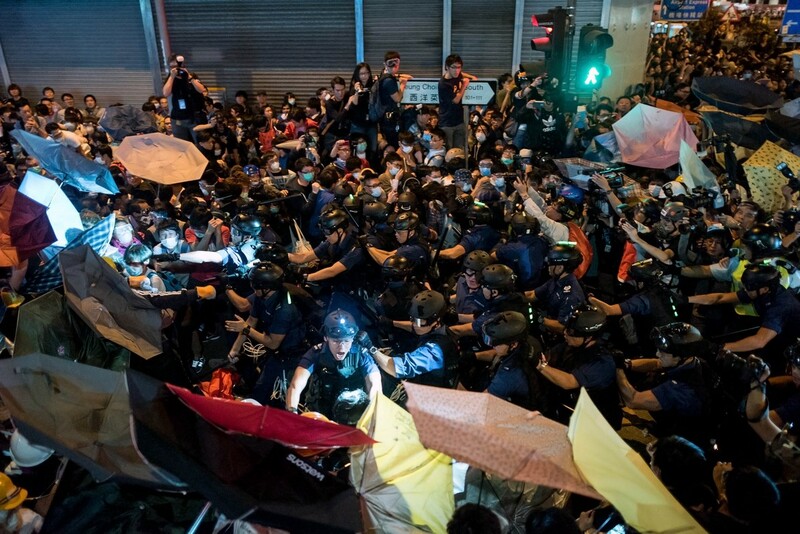 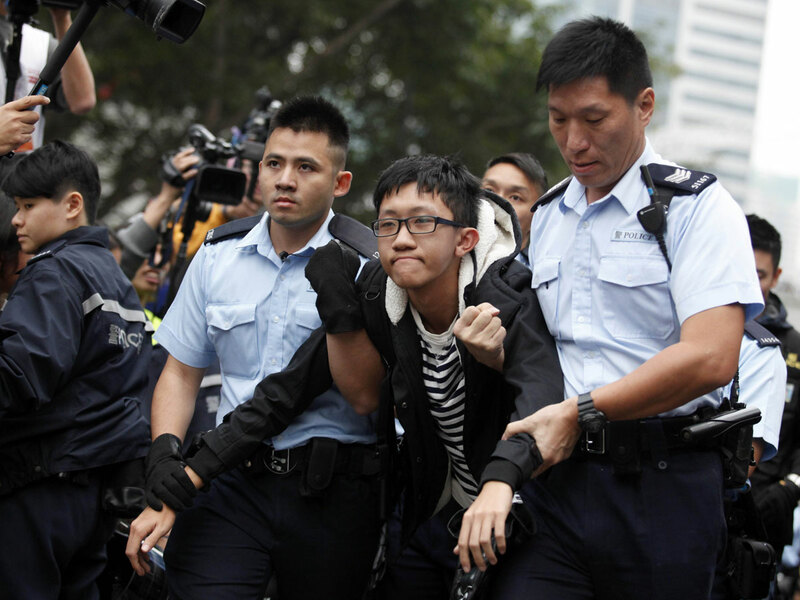 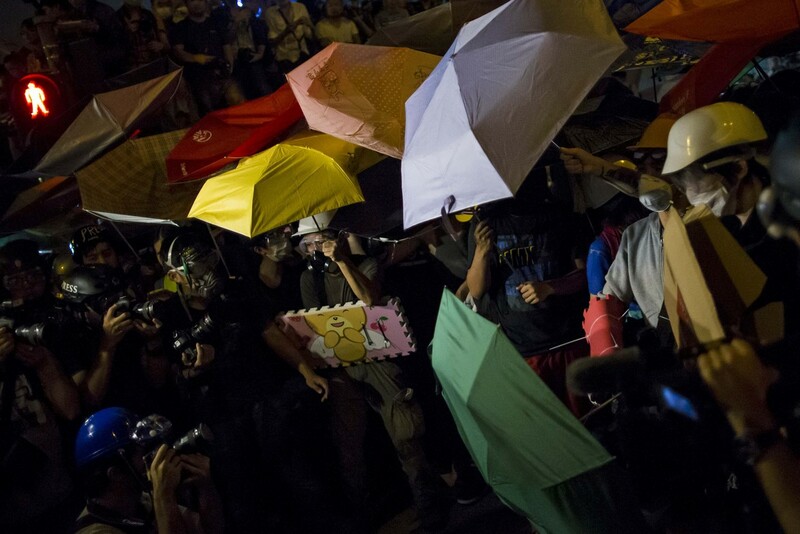 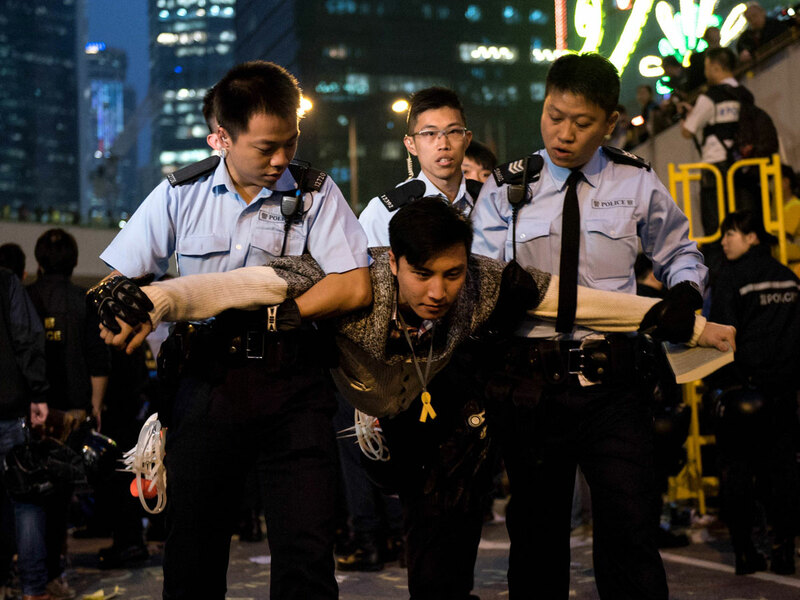 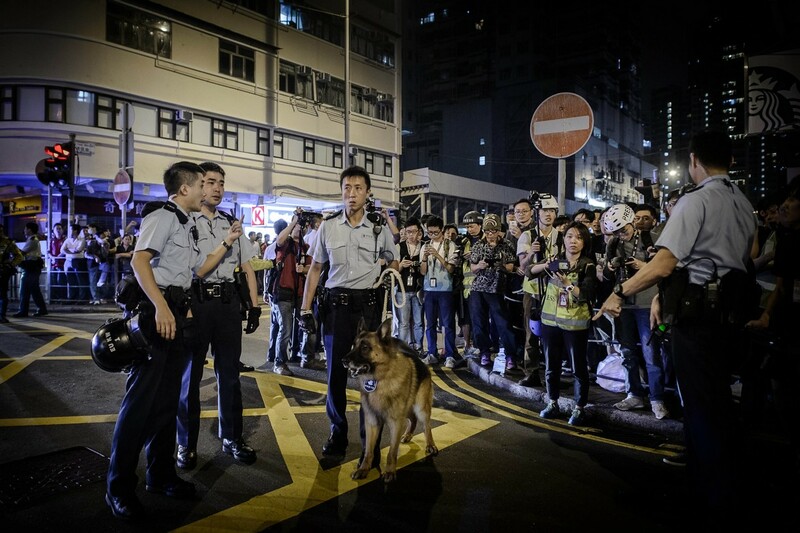 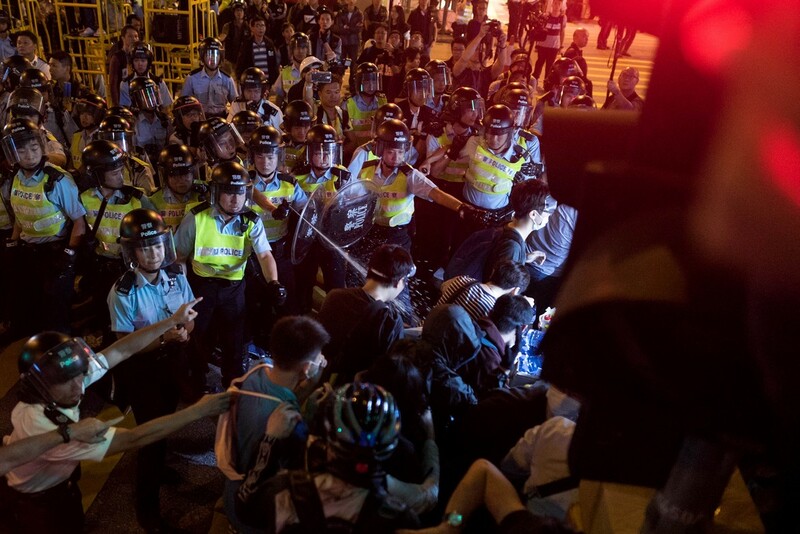 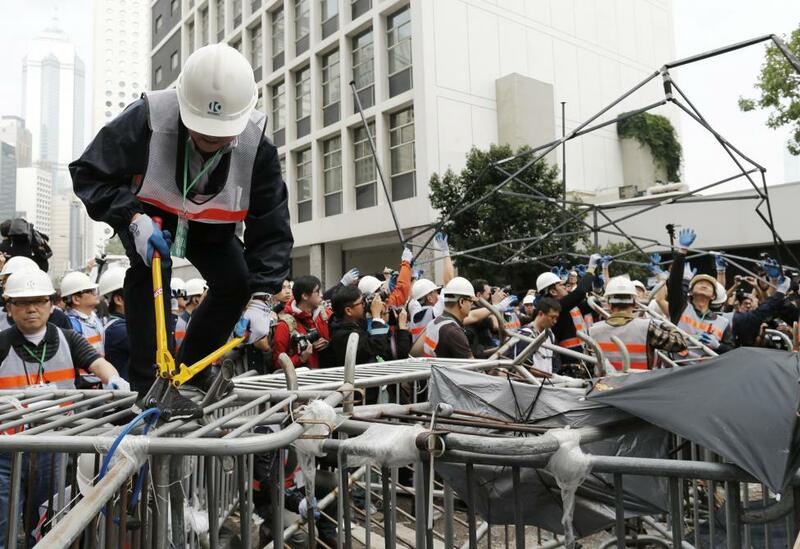 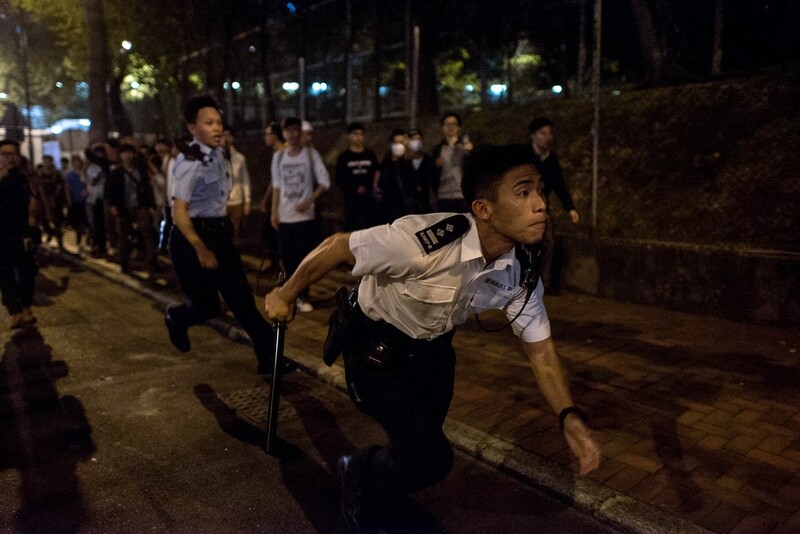 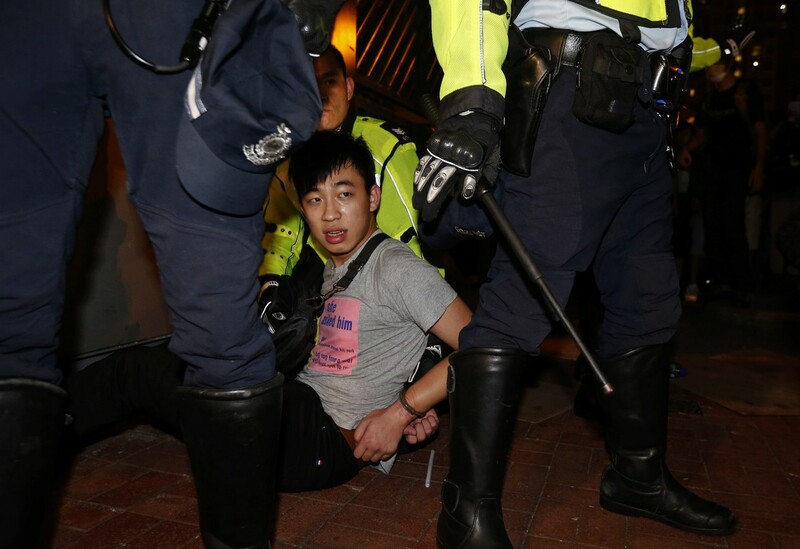 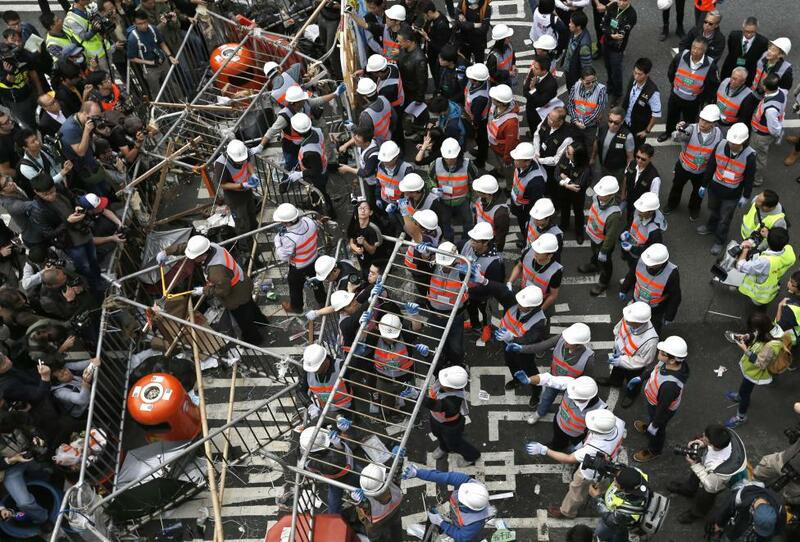 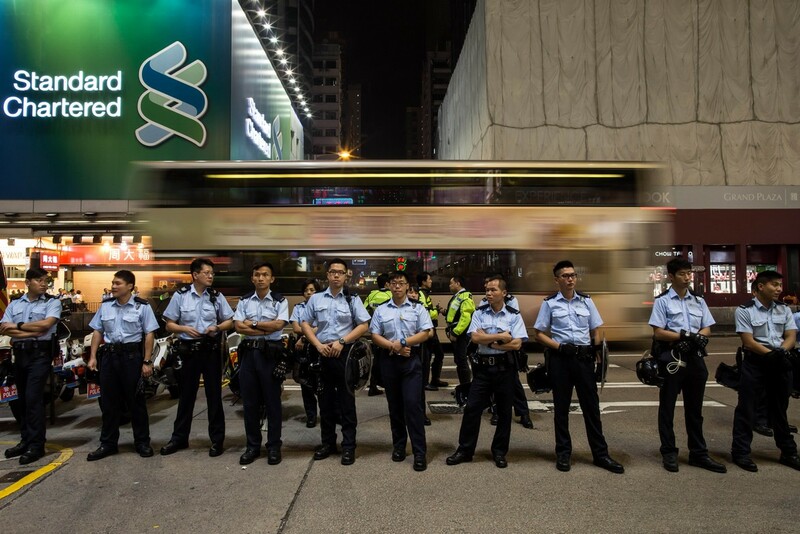 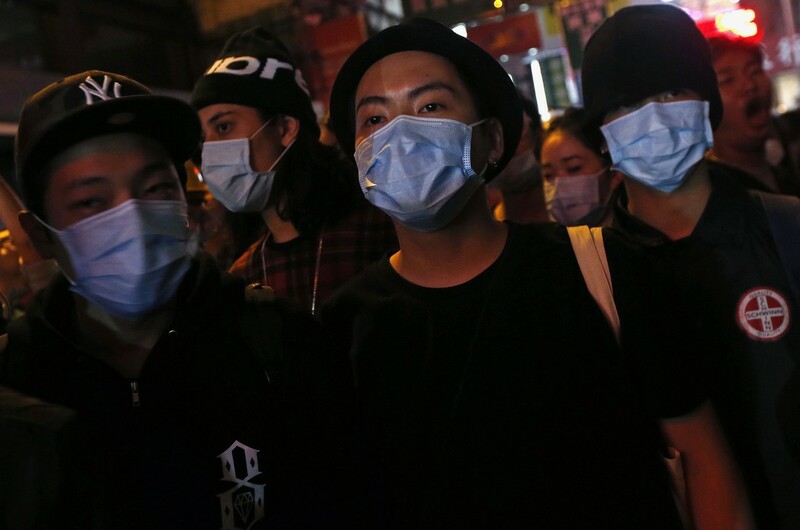 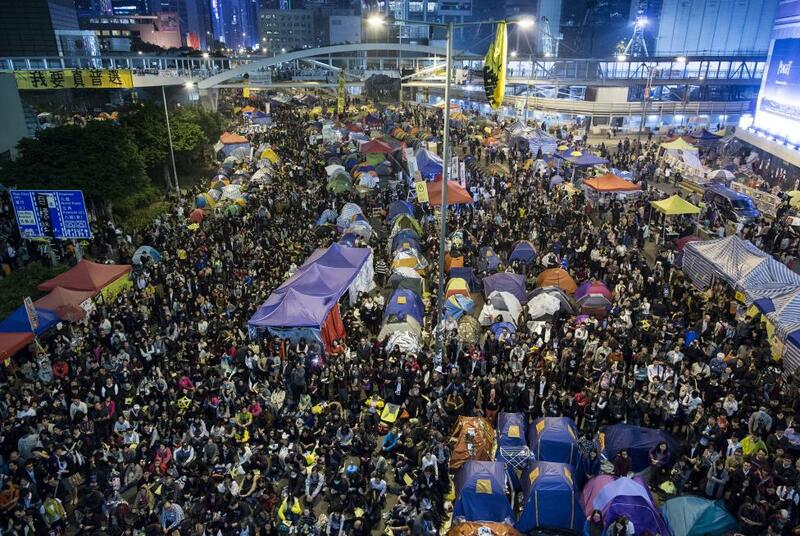 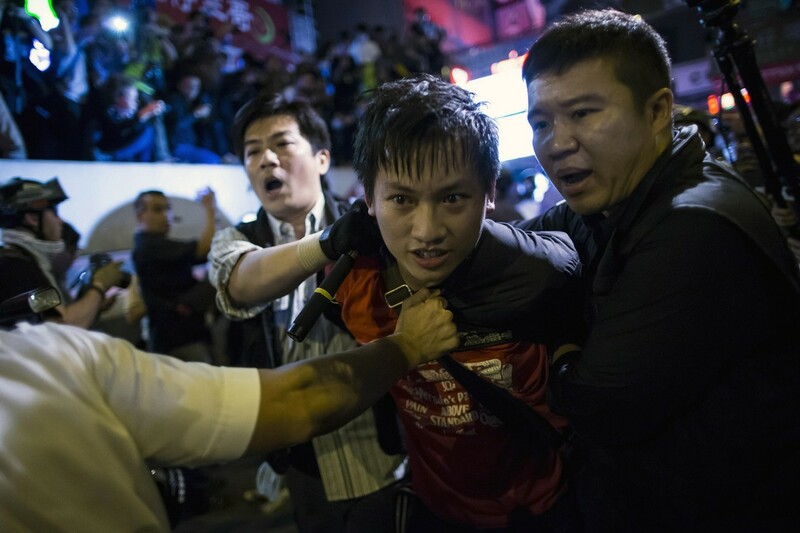 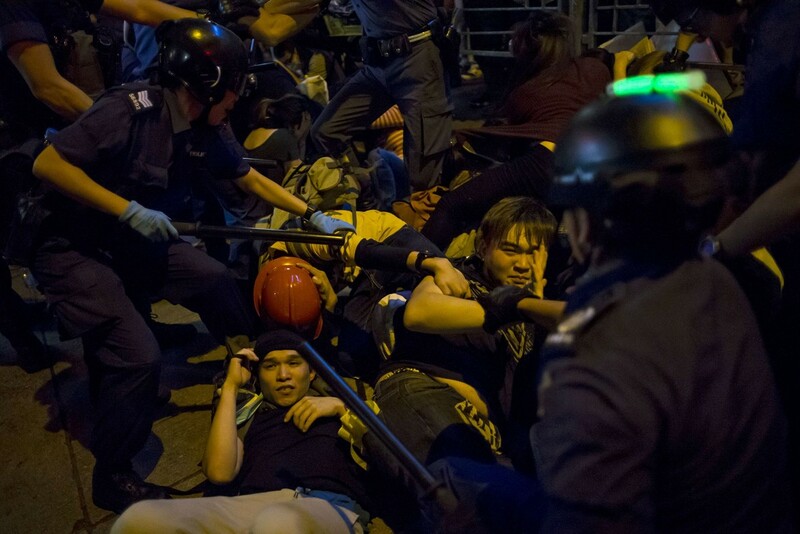 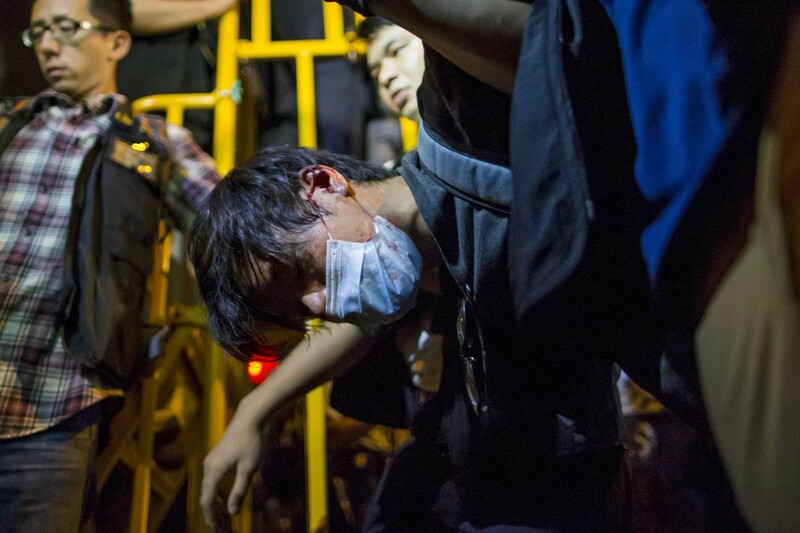 Hong Kong police said they made 37 arrests overnight for illegal assembly and criminal damage, a night after they used pepper spray and batons to disperse hundreds of protesters, with a dozen arrested. 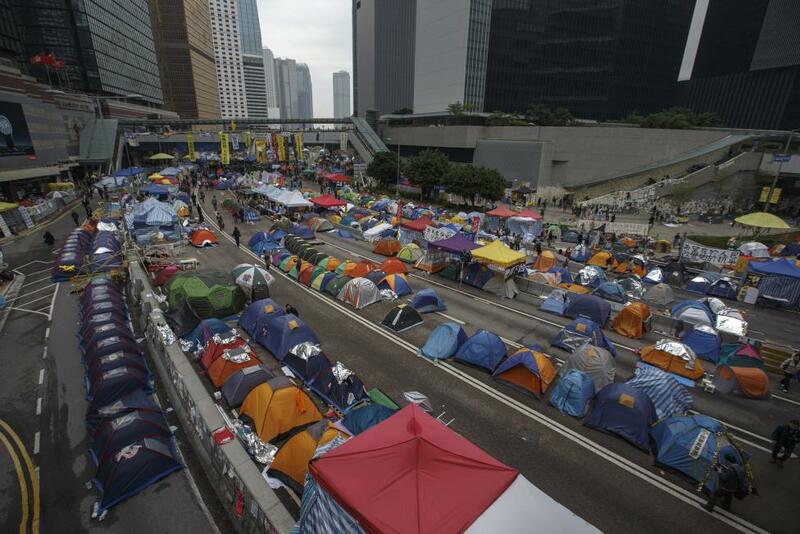 Their protest camps have been cleared from the major road junctions they occupied for more than two months, but they have continued to make their voices heard, holding nightly rallies they colloquially refer to as "going shopping". 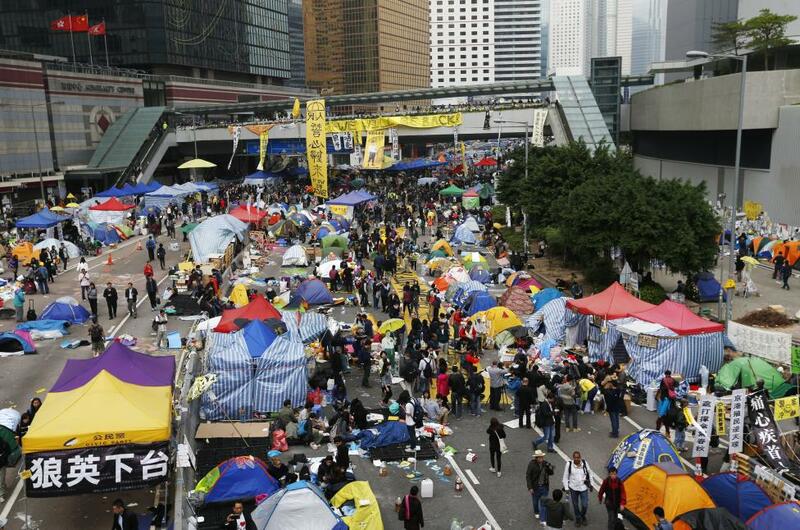 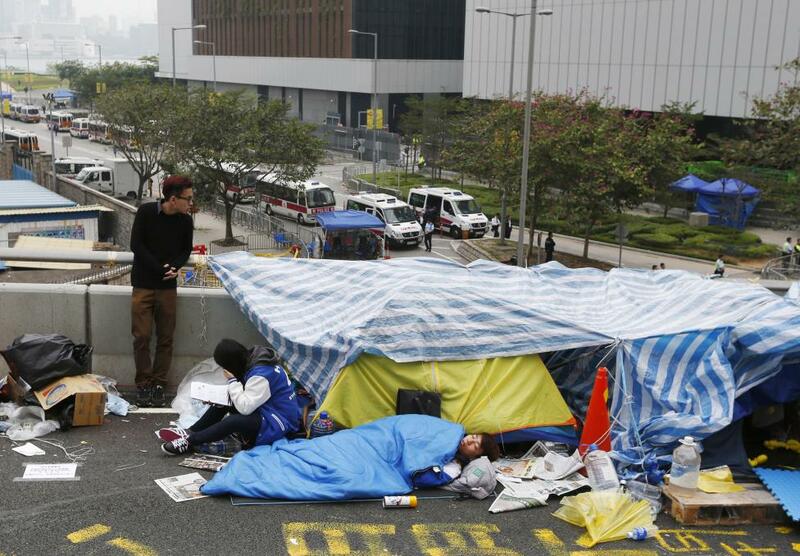 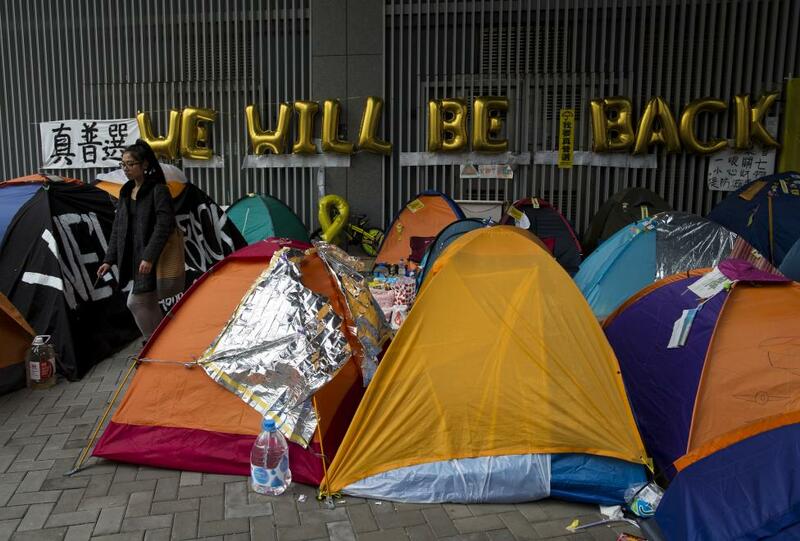 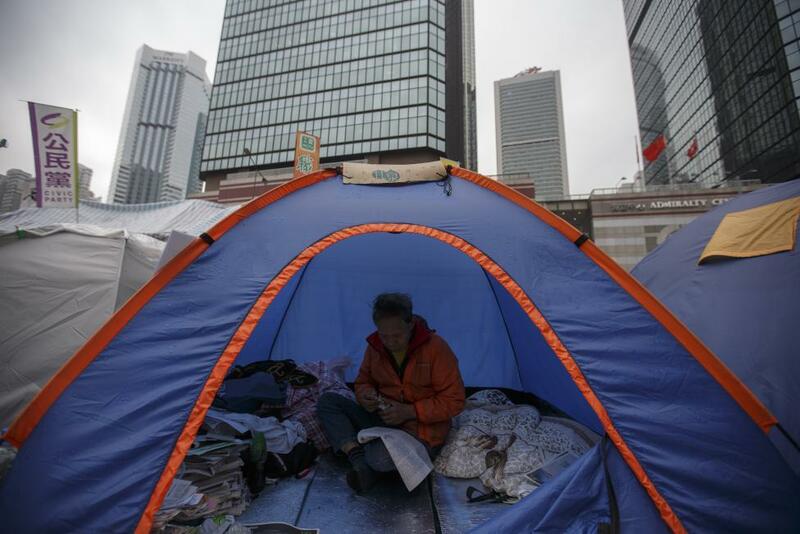 Large banners have appeared on landmarks, pop-up markets have sprung up selling memorabilia of the movement, and there is even an "Occupy hotel" where guests can pay to spend the night in a tent.